This construction manager letter of introduction sample will show you that a well-designed cover letter like Elaine’s will compliment her resume. It guarantees a lasting impression by allowing her personality to shine through. Her cover letter demonstrates her vital ability to create a safe and productive construction work environment, a coveted skill in the construction industry. Including industry keywords, in your job search documents is critical to job search success. If you look at phrases in the construction manager letter of introduction sample you will see what I am referring to. Many cover letter and resumes are scanned through the applicant tracking systems and if your documents don’t have the correct terminology it may not get to a human. Note: The construction manager letter of introduction sample displayed here has been fictionalized. TIP: An effective construction manager cover letter speaks to the qualifications and abilities employers crave in a job candidate. Let us position you as the #1 choice! 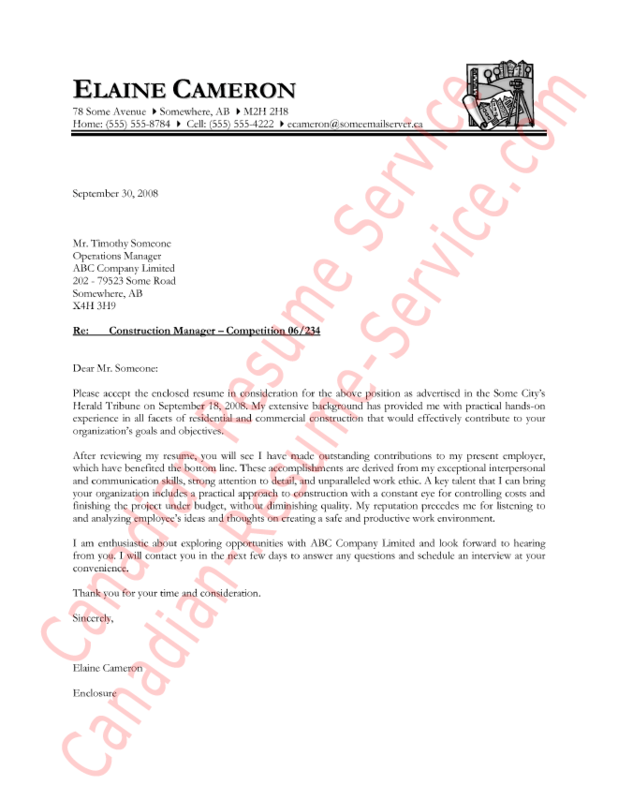 View the construction manager letter of introduction sample below.